With the end of the year quickly approaching, and all the travel I have to do to see family, I have decided to start my review of the year that has passed. Just on the surface, so much has happened in my life and rec hockey career. I am sure I will forget a few things, but the important thing is that I remember the highlights. In Janurary, the Stick Heads captured their 5th championship with me at the helm. It was one of the more memorable championships I had since they haven’t won a championship without me. That and we haven’t played together since that fateful final game in late January. I went two straight playoffs after that without winning a trophy. For about 2.5 years, I had been playing on great teams or I have stolen a trophy for my teams that have been in. Even though I haven’t won one in April or July, I had played very well in playoffs and the regular season. Some of the notable teams I have played for are the Dragons and we had a great playoff series in July. They made it to the finals after an awesome upset of the undefeated Rink Rats team by a final of 2-1 in the semi-finals. The 1st place Fury lost to the 2nd place Bluevortex.net team in the finals of the April playoffs by a final of 3-1, but I played a solid game in that finals game even in the loss. Then, in October, I got back to the winners circle with two more trophies. One with Malys and one with Who Cares. 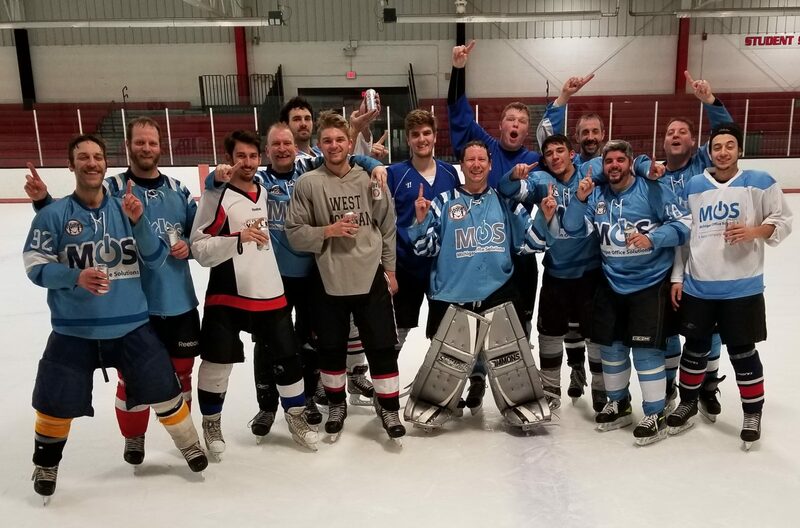 I pitched a playoff shutout with Who Cares in the finals by a final of 5-0, which was my first playoff shutout in over two years. Malys we held off the top scoring number one Hurricane team and won by a final of 3-2. The last minute of that game was hectic. Their best player was trying to score and with both defensemen Jeff Z. and Jason in the crease with me, they both made saves in front of me to keep the game 3-2 for the last 45 seconds of the game. Still, with all the great things that happened to me this year, there were things I did not achieve. My Kodiaks ice hockey team didn’t get a championship. In fact, it was this year in April that I gave up 4 goals in the last 5 minutes of our finals game to lose 6-5. It was an incredible comeback by the other team, and an incredible collapse by my team and me especilaly. They came up short in the summer session as well by losing their second round playoff game in OT by a 4-3 final. I subbed for an ice hockey team named Encore for the last 4 games of the season and playoffs. I got them to the finals and they lost by a 7-2 score to a obviously better team. I still got them to the finals with some great goaltending. Encore had a great team effort in front of me as well so I had no regrets there as well. I will post more end of year thoughts later on in the next week.